(VOVWORLD) - Vietnam-Singapore relations have flourished since the two established diplomatic ties 45 years ago, Deputy Prime Minister Pham Binh Minh said at a celebration in Singapore on Tuesday night. Mr. Minh, who is also Vietnam’s Foreign Minister, said their close cooperation can be seen in politics, economics, culture, education, and people-to-people exchanges. “Vietnam and Singapore have supported and promoted each other’s bilateral and multilateral relations. 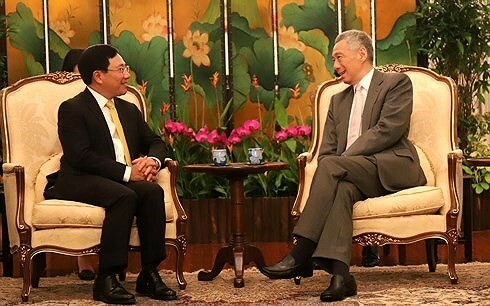 Both believe that ASEAN’s solidarity will be a foundation for regional stability and prosperity in which Vietnam-Singapore relations will benefit the two nations and contribute to the world,” Mr. Minh said. Economic cooperation is considered key to the relationship. Singapore is one of Vietnam’s biggest trade partners, ranking second in ASEAN and eighth in the world. Trade between the two countries totaled 8.3 billion USD last year. 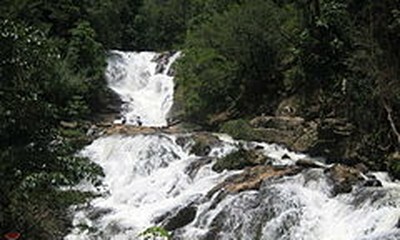 Singapore is the largest direct investor in Vietnam among ASEAN countries and third in the world. Singapore values its relations with Vietnam, considers Vietnam a leading partner in ASEAN, and backs Vietnam’s development and its role in international forums. The same day, Vietnamese Culture Day was held in Singapore to mark the 45th anniversary of bilateral diplomatic ties and 5 years of a strategic partnership.